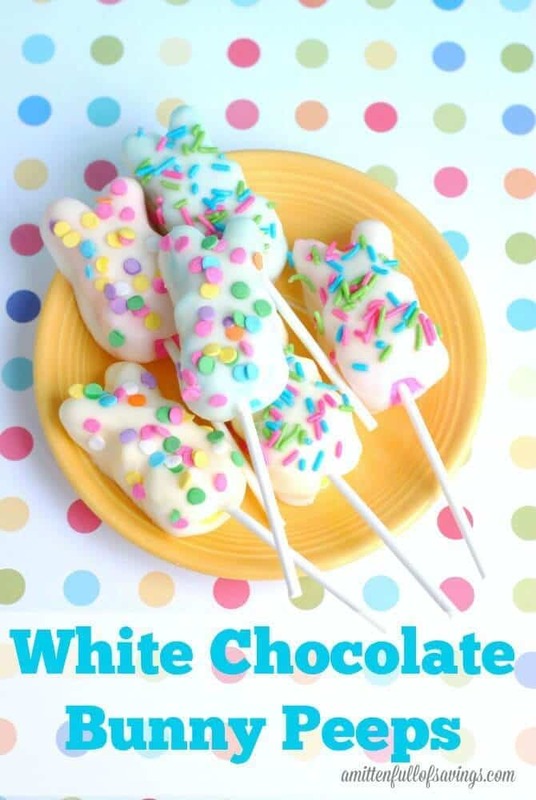 Kids will love these Easter Bunny Recipes! Any of these rabbit shaped treats would be a delicious idea to serve as a dessert at an Easter party. Looking for festive Easter desserts? Today we’re sharing 12 Easter Bunny Recipes including rabbit shaped cupcakes, fudge, cinnamon rolls and other treats. Hippity, hoppity, Easter is on its way! Every year we celebrate by spending time with my aunts, uncles, cousins and parents enjoying special family Easter traditions. My Aunt Ronda already started the countdown to Easter just after the first of the year. 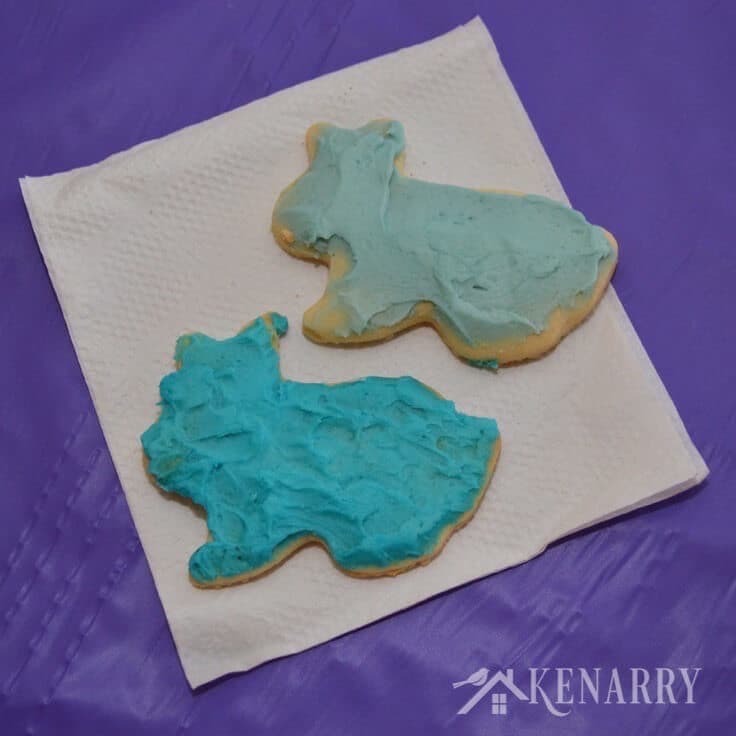 One of our traditions includes Easter Bunny shaped sugar cookies. I will confess I always start by eating the ears. There’s just something about the ears! 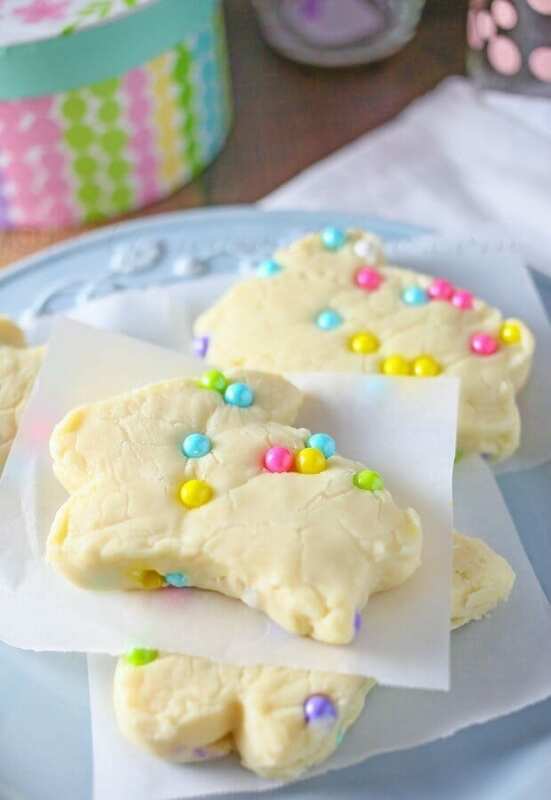 You can easily make Easter bunny cookies using your favorite sugar cookie recipe and a bunny shaped cookie cutter. 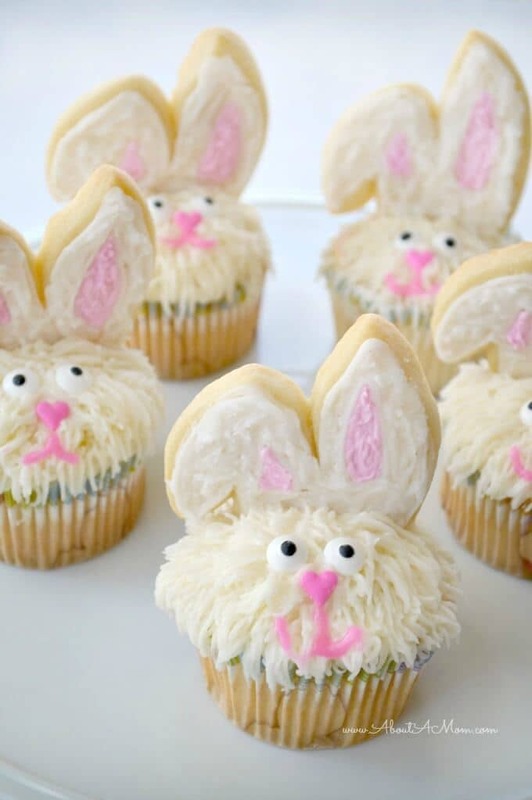 However, I thought it would be also be fun to round up other ideas for Easter bunny shaped desserts and treats. You are going to love the 12 Easter Bunny Recipes I found to share with you today. 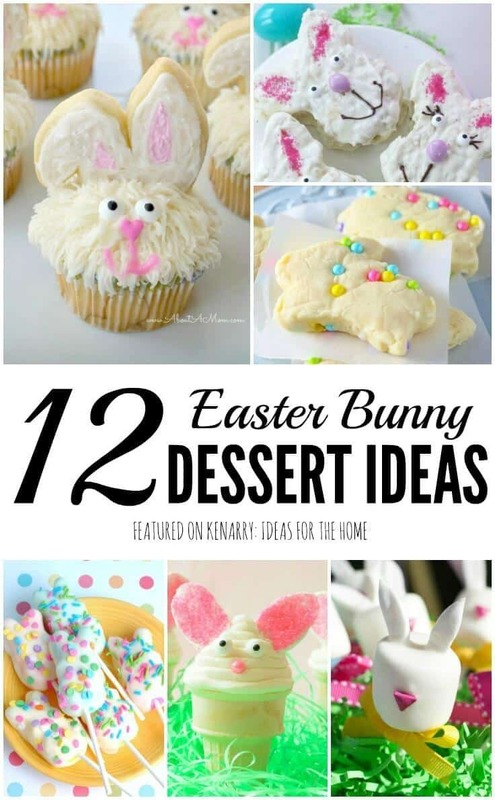 This collection of Easter Bunny Recipes includes fun ideas for rabbit shaped rice krispy treats, cupcakes, fudge and even cinnamon rolls. 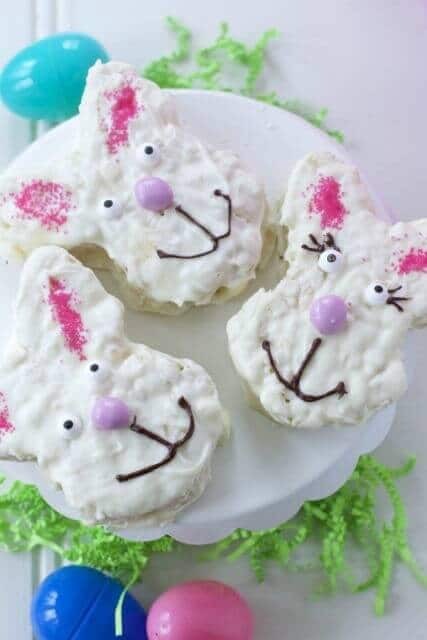 If you find a new idea you’d like to try this Easter, please click through the links to get the directions for these Easter Bunny Recipes from the original sources. It’s also better to pin from the original sources if you wish to save any of these ideas for later. If you want to save the entire collection of Easter Bunny Recipes, you’ll find a large collage image at the end of this post that you can share and pin. White Chocolate Bunny Fudge – Kleinworth & Co. Thanks, LZ! 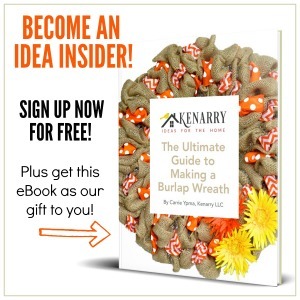 Aren’t those ideas so fun! Everything is cuter shaped like a bunny, am I right?